96 pages | 2 B/W Illus. Cross-sectoral interaction and cooperation in the communication of nutritional health risks represents a strategic research area among national governments and international health authorities. The key research question this book addresses is whether and how different industrial sectors interact with each other in the communication and industrial utilisation of health research findings. 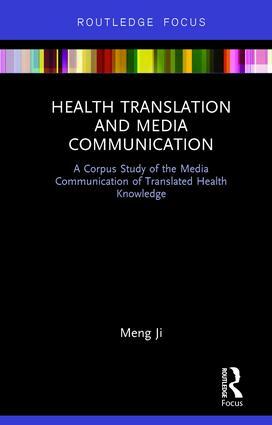 Through the introduction and exploration of large-scale industry news and digital media resources, this book systematically analyses a range of digital news genres and identifies new and growing trends of inter-sectoral interaction around the communication of nutritional health in the Chinese language at both international and national levels. This book argues that cross-sectoral interaction can be explored to identify areas that require policy intervention to increase the efficiency and effectiveness of current health communication and promotion. Inter-sectoral interaction can also provide incentives to develop new social programmes and business models to innovate and transform traditional industrial sectors. Meng Ji is Associate Professor at the School of Languages and Cultures at The University of Sydney.